This book charts the trajectory of that epic vision, exploring how the spaceship progressed from concept to reality, and continues to enthrall us with its possibilities. 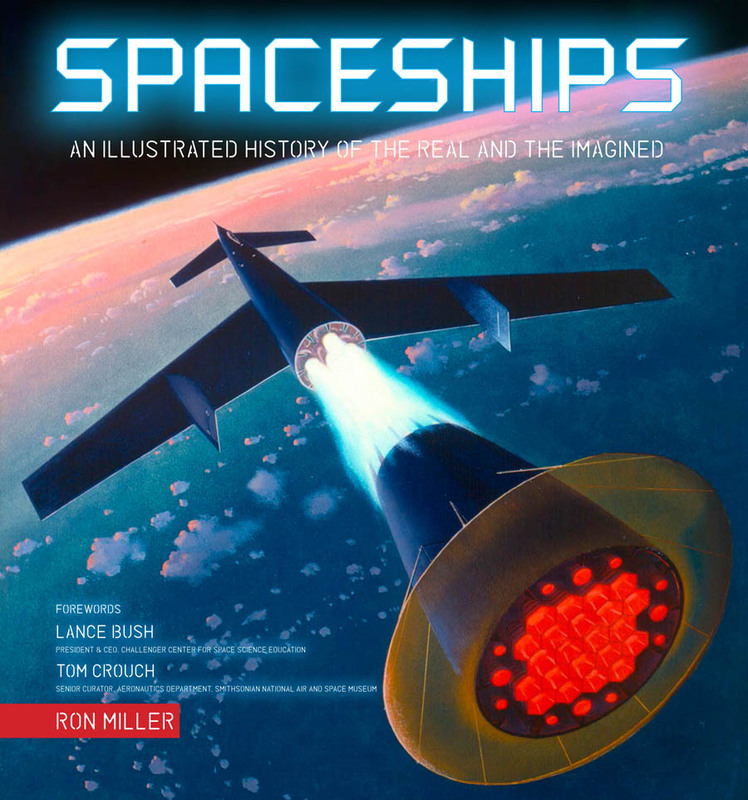 Written by award-winning author Ron Miller, Spaceships: An Illustrated History of the Real and the Imagined charts the history of the spaceship in an accessible yet authoritative way. It is an intriguing journey. Landmarks along the way include the Montgolfier brothers’ balloon in the 18th century; the rocketry experiments of the early 1900s; space travel as seen through the eyes of the early movie makers; Wernher von Braun’s development of the V-2 ballistic missile during World War II; the space race of the 1950s and ’60s; the Space Shuttles and the creation of the International Space Station; the XPrize spacecraft competition; and future interplanetary spacecraft designs. The book contains over 800 photos and artworks, the latter including archive material by some of the world’s greatest space artists and new commissions by Nick Stevens. It will be of absorbing interest to general readers, to lovers of science-fiction books, comics, and movies — even to rocket scientists, both actual and aspiring.